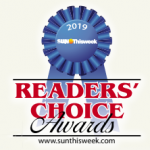 CAAM CDT is proud to be the 2013, 2018, and 2019 Sun Thisweek Reader’s Choice for Best Dance Studio. CAAM CDT also recently received the “Teaching Excellence Award” from the 2018 Chicago Taoli World Dance Competition. Our China-trained, award-winning teachers, director, and choreographers cannot wait to welcome you into our family! We welcome all ages and all abilities. St. Paul Midway. Located near the former St. Paul Amtrak station adjacent to the historic University-Raymond Commercial Heritage Preservation district, the St. Paul Midway campus is conveniently located right off I-94. The studio boasts two large rooms with state-of-the-art Marley floors, wall-to-wall mirrors, and a common room with cubbies to store dancers’ coats and belongings. Parents have access to a well-appointed conference room and to a small eating/vending machine area. There is free internet access. The award-winning MeiLin Art School is housed within the same building, and many families find it convenient to take art classes while their students dance. Parking is ample. There is a YMCA located approximately 5 minutes away, and several shopping and restaurant areas are within 10 minutes of the school. Richfield. Our Richfield location is also convenient to several shopping and dining areas. This campus offers introductory dance classes, advanced dance classes, and adult dance classes. Classes begin in the Fall to coincide with most schools’ start dates and end mid-May with a Spring Recital. 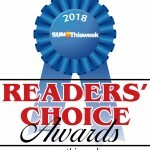 We offer an optional, lighter dance schedule in the summer to maintain skills. Please enjoy these short, beautiful clips by Christopher Yu Olson highlighting our younger and advanced students’ Basic Training.